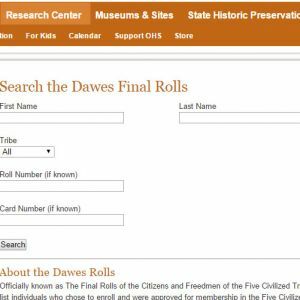 Provided by the Oklahoma Historical Society, and officially known as The Final Rolls of the Citizens and Freedmen of the Five Civilized Tribes in Indian Territory. 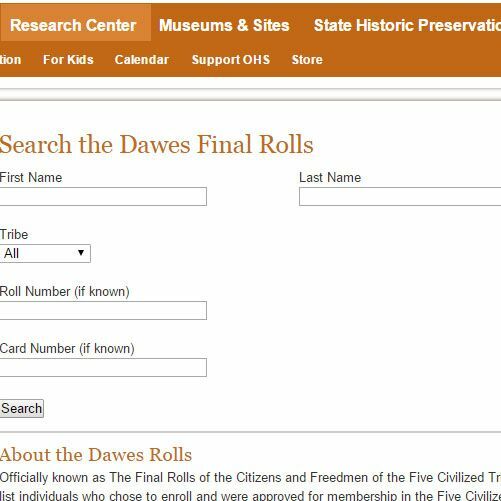 Lists individuals who chose to enroll and were approved for membership in the Five Civilized Tribes (Cherokee, Chickasaw, Choctaw, Creek, and Seminole.) Enrollment for the Dawes Rolls began in 1898 and ended in 1906.